My sister’s little girl recently had her first birthday. 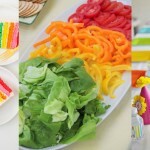 And in typical sisterly fashion, my sister tried to one-up the rainbow first birthday party I threw for Kate last spring. 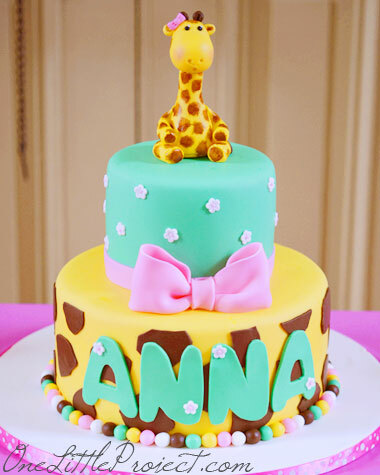 She went with a giraffe birthday party theme, using pink and yellow as the colours. It truly was adorable! My dad took the photo below, but I really wanted to share it. My sister was so excited about the birthday cake that she was sharing photos of it in her fridge on her phone before it even arrived at the party. How adorable is this picture?! The cake below was the cake that the birthday girl got to blow out candles on. 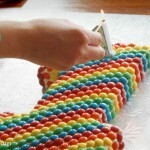 While beautiful, the cake in the photo above just isn’t practical to carry across the room with a flaming candle on top. Plus, if you want to keep your baby from destroying the cake while you have a few pictures taken, fondant won’t let baby hands get very far. Instead of a smash cake, it’s more like a you-can’t-smash-this cake. Here’s the actual smash cake they made the day before the party. Bless my sister for trying out the tutorials on my site! At least we know my smash cake tutorial actually works! Hers looks even better than mine! She also followed my birthday candle suggestion post and made the candle below from a regular grocery store number candle. 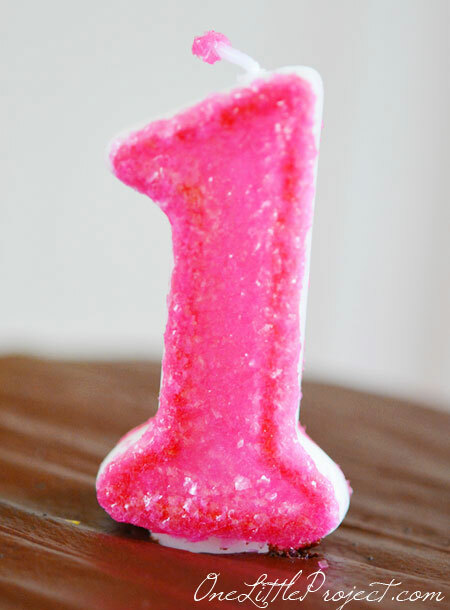 So much cuter than a regular number candle, isn’t it?? My sister found a super talented cake decorator to make all of these wonderful cakes and accessories. 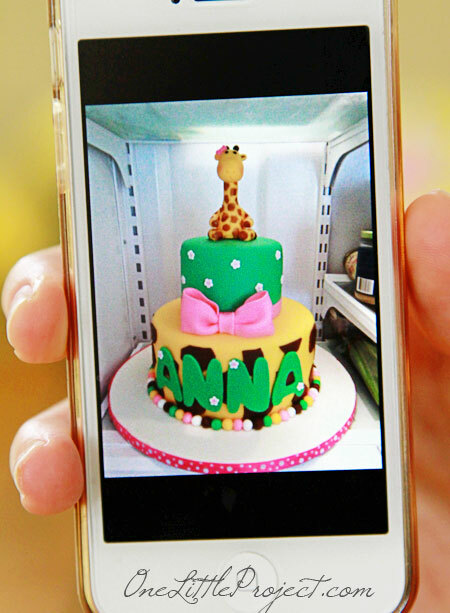 See how dressed up the cake in the photo below looks with the adorable fondant giraffe figure on top? 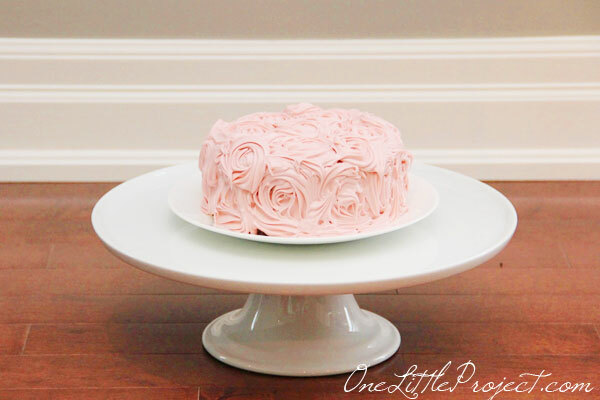 If you are in the Toronto area, I definitely recommend checking out Cakesterpiece. 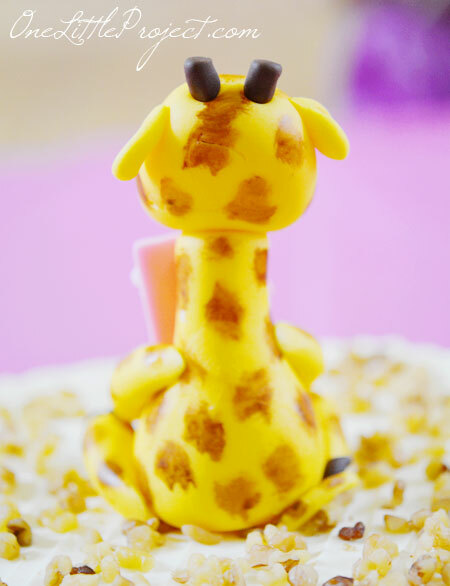 Let’s take a closer look at the giraffe figure. So much detail! I wish I knew how to make things like this! And when you turned him around, the little guy even had a tail. Very cute! Did I mention that this birthday party had about 100 guests? 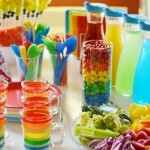 A little too crazy for this gal, but it definitely made for a memorable party! There were tons of people, but my sister still kept it simple. 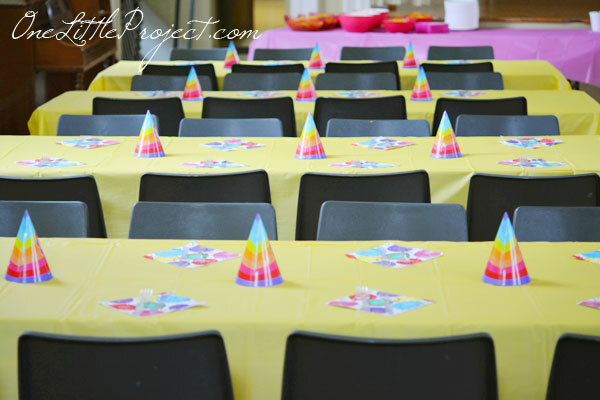 She chose to use party hats to give some extra dimension to the table without breaking the budget. 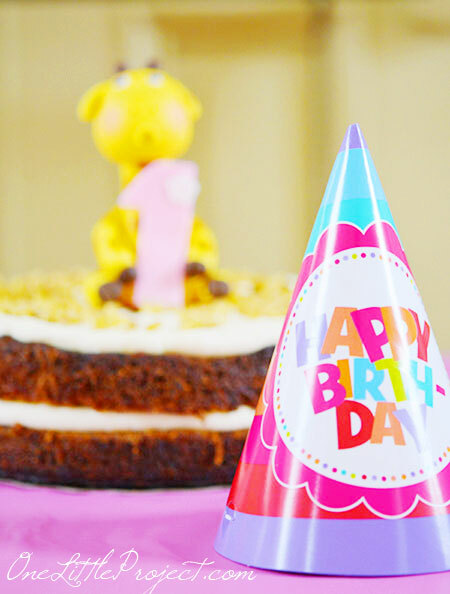 Plus, it was adorable to see all the kids in their party hats! And speaking of the other kids, there were about 25 kids total at the party! 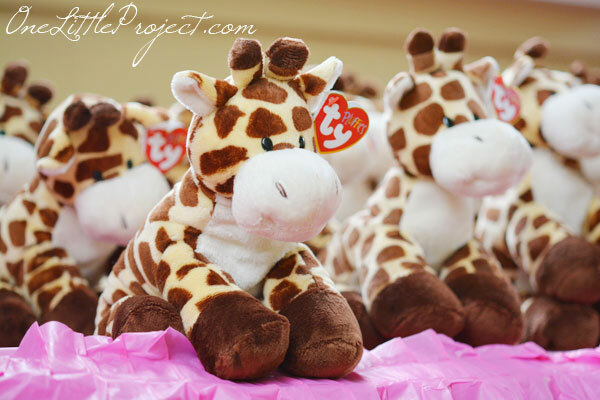 Rather than putting together 25 gift bags, my sister opted for a soft and cuddly stuffed giraffe for each child. The cost was about the same as gift bags would have been, and it was way less work. And this way everyone got to take home a super cute momento. I love the pink bow around it. 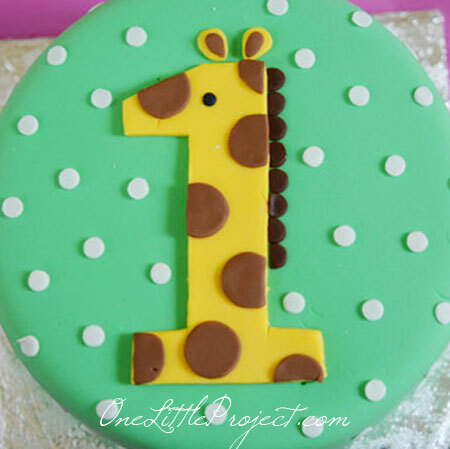 And how the bottom layer has giraffe spots on it. 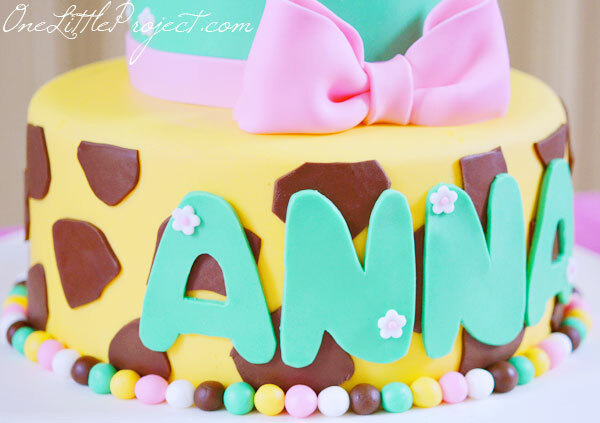 And very lucky that the birthday girl has a four letter name that fits perfectly on a cake! 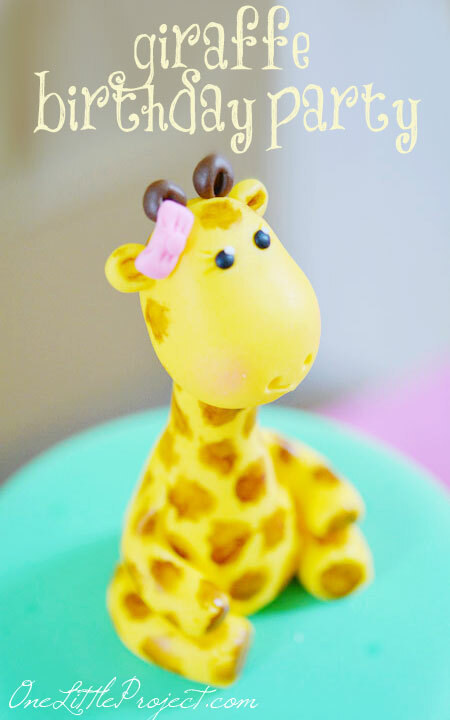 Here is the cake topper for the main cake. It has so much detail! I just keep wanting it to jump into real life like claymation! 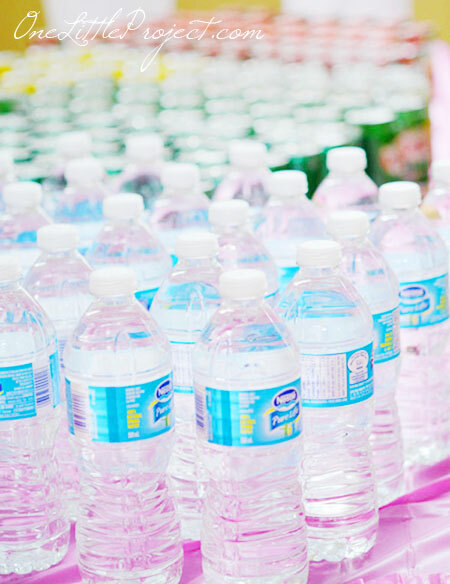 This really was a beautiful party. 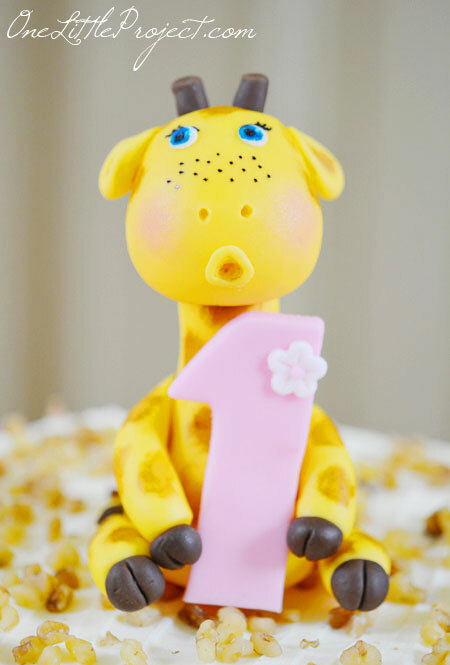 My sister didn’t go overboard with the giraffe theme, which made it super cute, yet elegant. 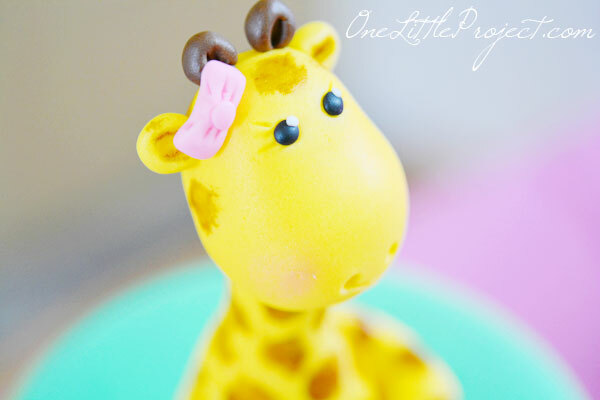 All the giraffe details were adorable! Now that I have a blog I think it has really upped the ante for family parties! I can’t wait to see what we end up doing next!